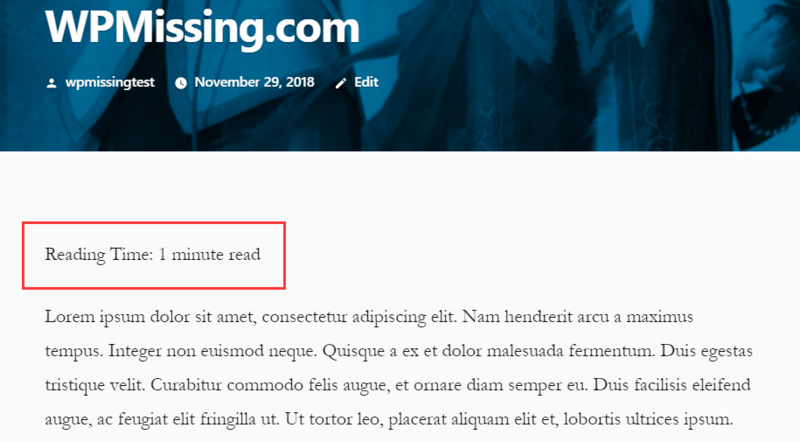 The Post Reading Time Estimate WordPress plugin lets you display an estimated read time to tell your readers how many minutes left to finish reading your blog post or article. 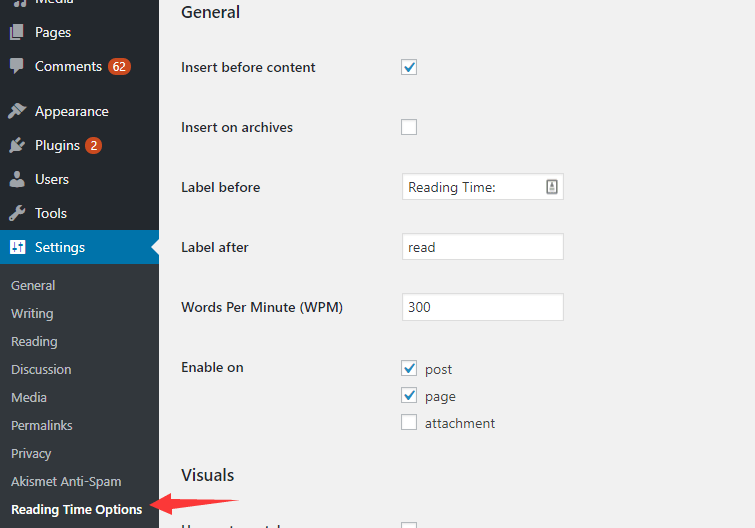 Supports WordPress posts, pages, archives, attachments, and custom post types. The estimated read time is based on the Words Per Minute (WPM) you specify in the Settings. 1. Download the Post Reading Time Estimate plugin. 2. Install and activate the plugin on your WordPress blog/website.